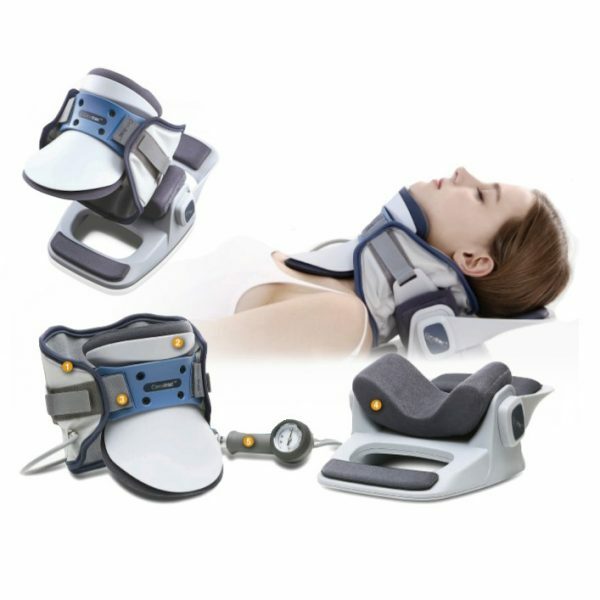 The Most Versatile Cervical Traction System Offers Effective Neck Traction While Sitting, Standing, Or Lying Down. 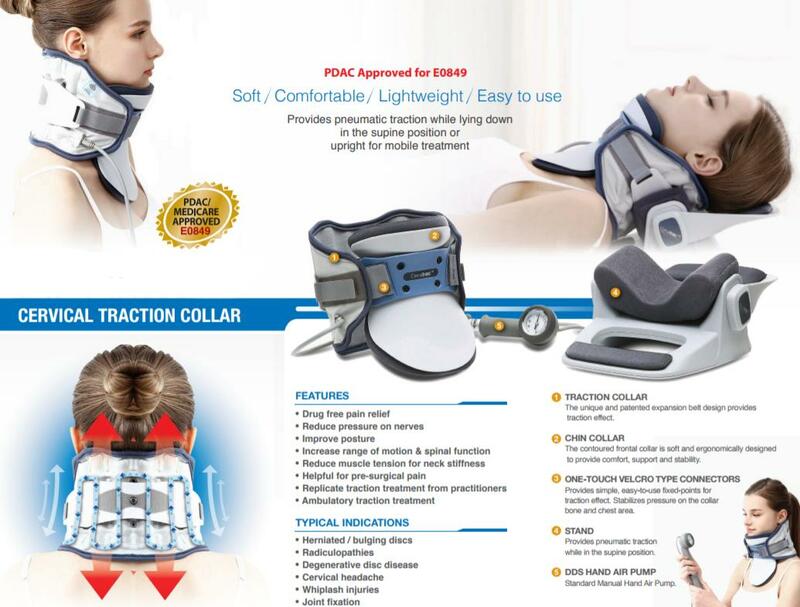 The Traction Collar Is Available In Two Sizes – Measure Around The Neck – With Vertically Expanding Measured Expansion, & Comes With An Ergonomic Stand. 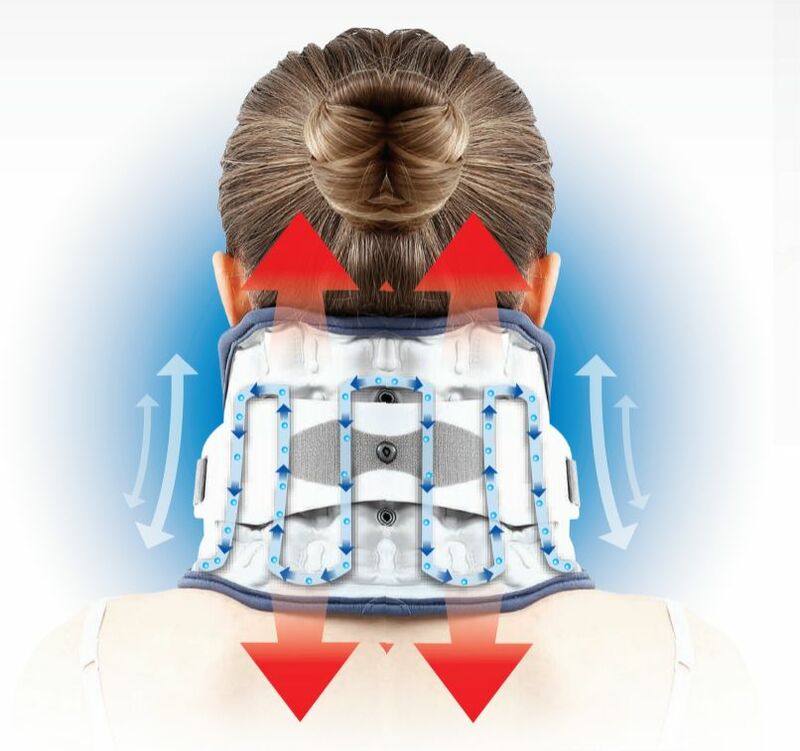 The Most Comprehensive Traction Device For Neck Pain. Small: 11.5 to 14.5 inches | Large: 14.6 to 17.5 inches. 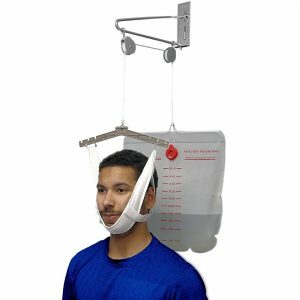 Measure around neck – circumference. The same great scientifically proven design and construction as the cervical traction collar in a new configuration for sizing and application for ergonomic traction while lying down in addition to increased mobility of vertical positioning. 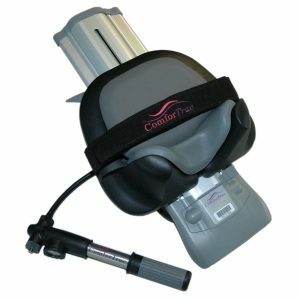 A cervical traction system based on the unique air cell vertical pressure technology adds a horizontal option and can provide results equal to in-office decompression systems used in clinics, the CerviTrac system provides an opportunity for an effective program of home based neck traction in a lightweight, easy to use device that offers a wide rand of ergonomic applications for increased compliance, which can translate into better results. An ideal system to decompress the cervical spine, removing pressure from irritated discs and joints common to injuries like whiplash, herniated discs, joint syndromes and to aid in slowing the degenerative process of disc disease and osteoarthritis in the neck. 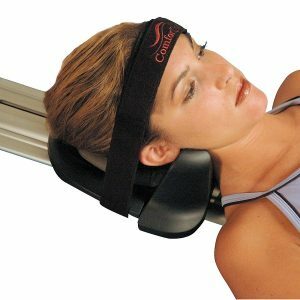 It permits a controlled, measured and smooth decompression for increased comfort and safety as the increased effect on muscle relaxation helps to avoid muscular spasms. 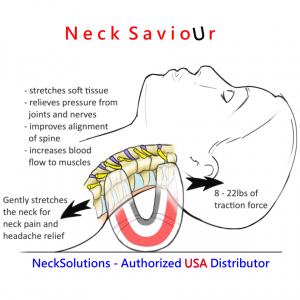 Even distribution of traction forces helps reduce stress on the jaw. 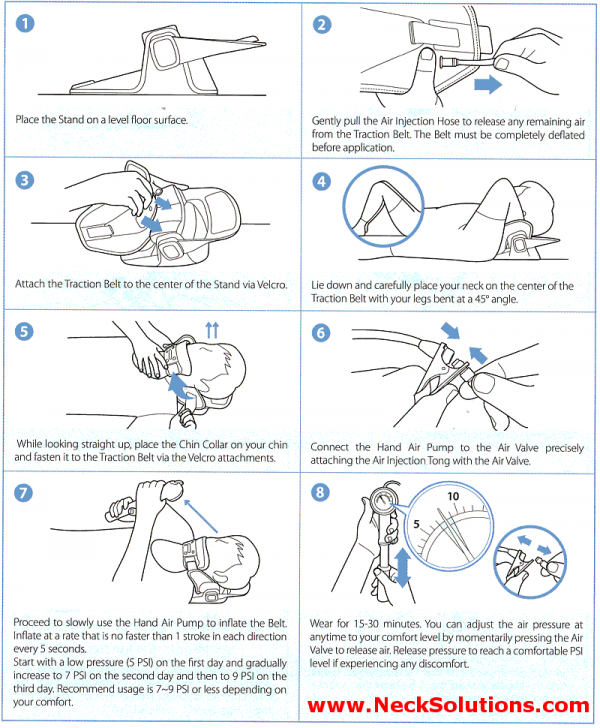 Use while sitting, standing or lying down allows a greater choice of applications. 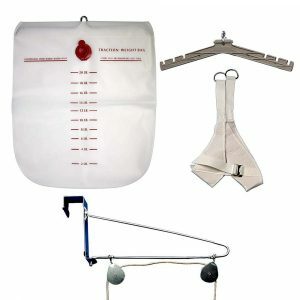 No pulley system, strings, ropes, weights, electrical cords, and is easy to at home, in at work, or when travelling. 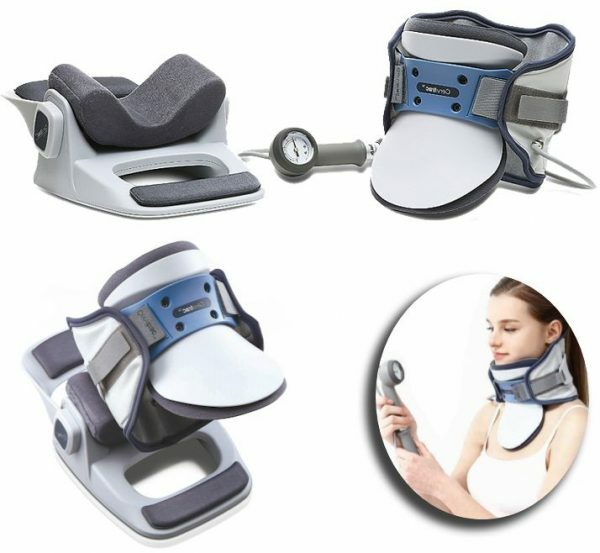 The device is designed ergonomically to provide the best in smooth action, support, comfort, stability with Velcro closure that for a simple one touch securing and consistent application. 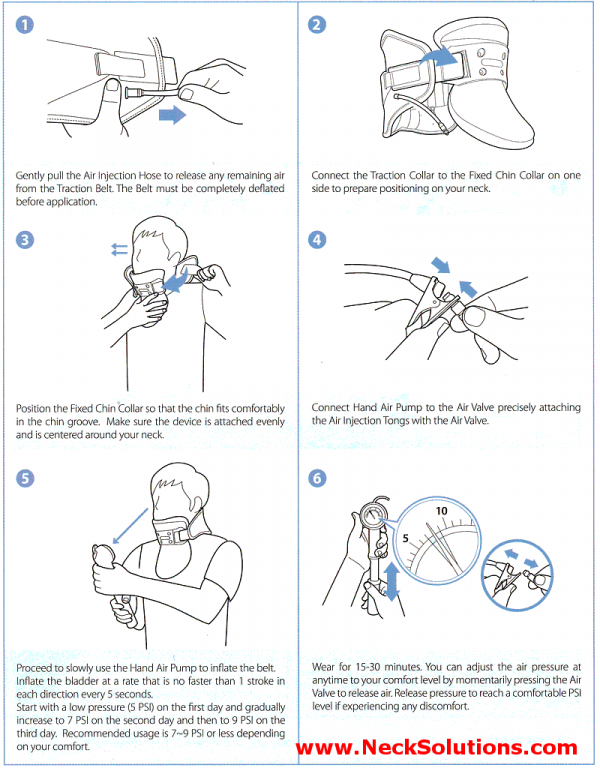 The air cells inflate and expand employing a special vertical air pressure technology for an even and smooth traction pressure. An air injection nozzle provides a simple means of connecting the pump with a gauge for measure application and easy inflation. In the back is a frame support providing a fixed area for traction. 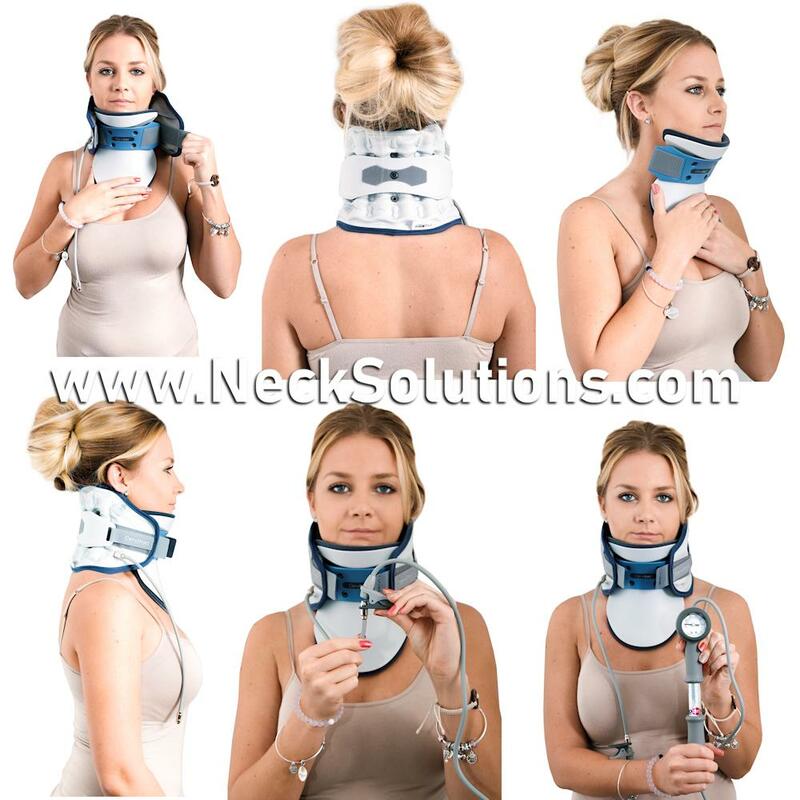 The front is ergonomic in design to stabilize pressure on the chest area and collar bones. Collar, stand, air pump and a detailed manual included with the system. The stand that comes with the home cervical traction system allows the traction collar to be used correctly lying down, removing the weight of the head (about 10 pounds). 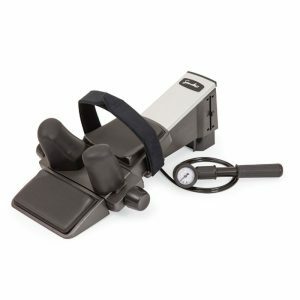 Fitting like a glove, the stand permits an ergonomically sound supine position for increased efficacy, while maintaining the option for application while sitting or standing. The in either version is easy to use. It does not take long to get accustomed to application and it uses a hand pump which allows for precise measurement of the traction force. 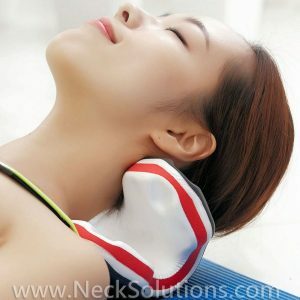 This allows a gradual introduction of traction force to the cervical spine in a gradual manner, with a progression from 5, 10 and 15 PSI on the first, second and third day of use. 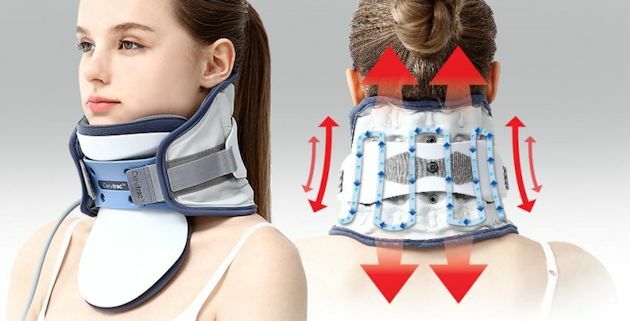 It is recommended to use the home neck traction device for 15-20 minutes (2 to 3 times a day), or as prescribed by your health care professional.